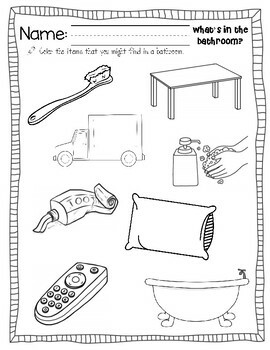 Perfect for Pre-Kindergarteners or Kindergarteners to include in a unit about rooms in a house or sorting what belongs in a bathroom vs kitchen. 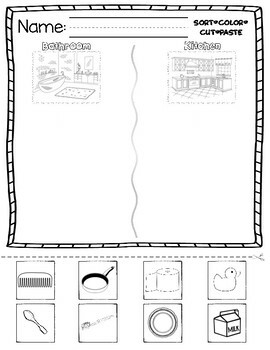 There are two pages; one is a color/circle the items that you might see in a bathroom, the other is a sorting page to cut and paste. I hope you find these pages useful.